WMG would like to share with you an extremely well done graphic that lays out the wage discrepancies that still exist simply because of gender. A young college woman may be able to get the same education as a man but when it comes to joining the workforce, she still will be paid less than her male counterpart. Please share this with any young person you know and let them know that the fight is not over. Click the link below or the thumbnail to see the full graphic. 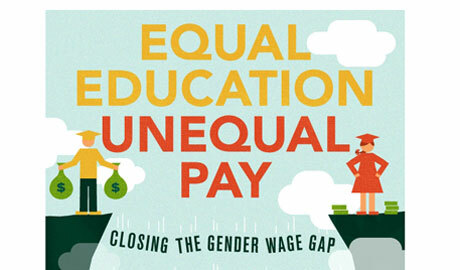 Based on a work at http://www.learnstuff.com/equal-education-unequal-pay.